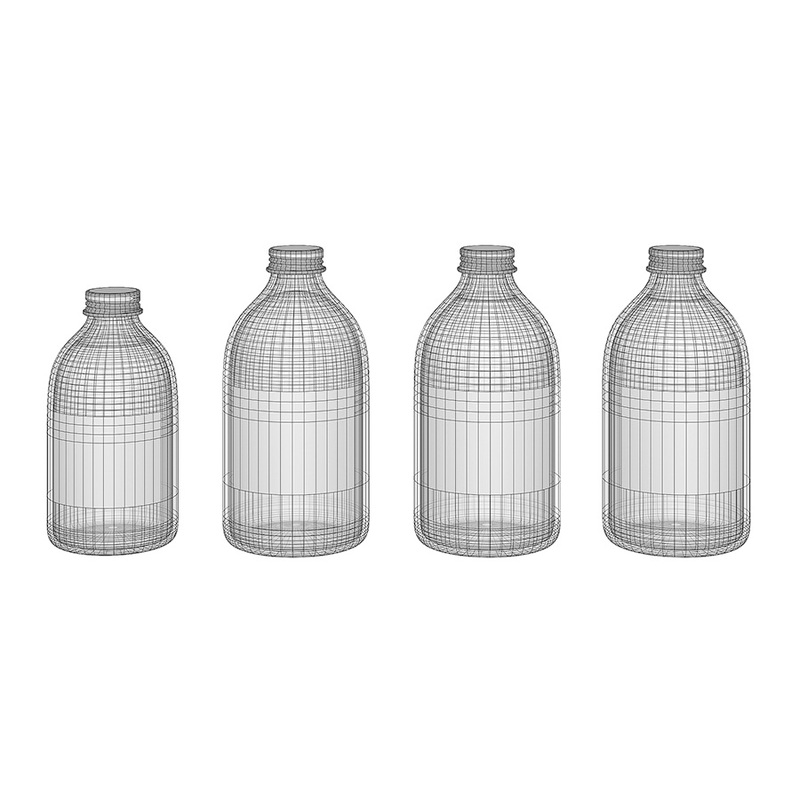 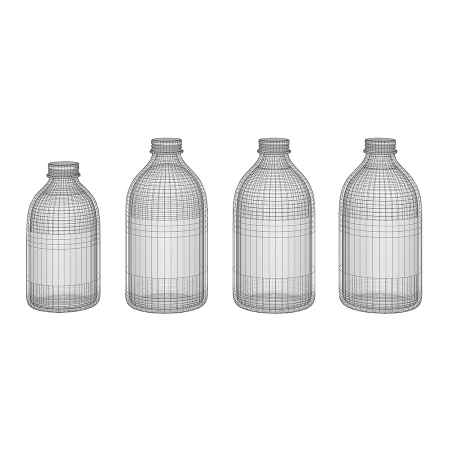 High quality 3d models set of bathroom bottles. 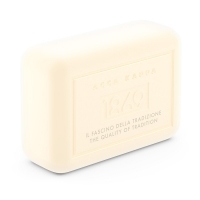 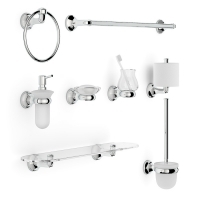 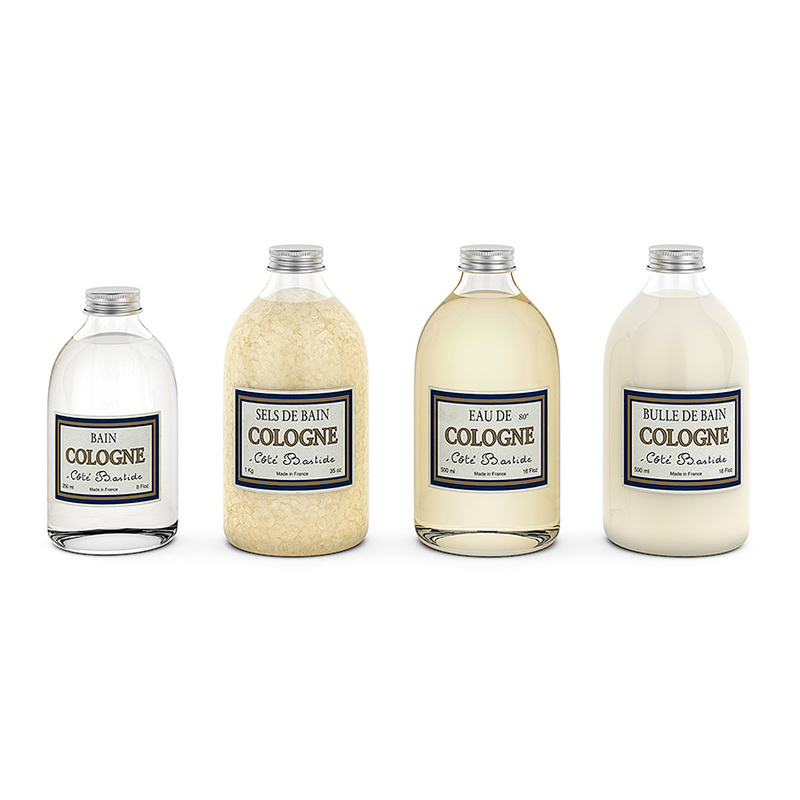 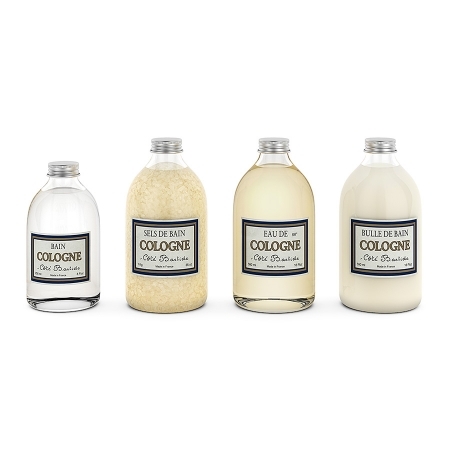 The set includes 4 glass bottles: with bath salt, bath water, cologne water and with foam bath. 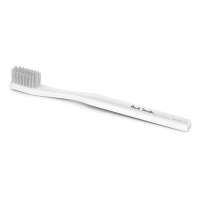 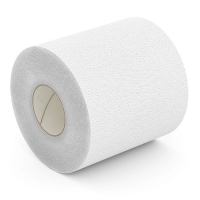 Great for any bathroom.